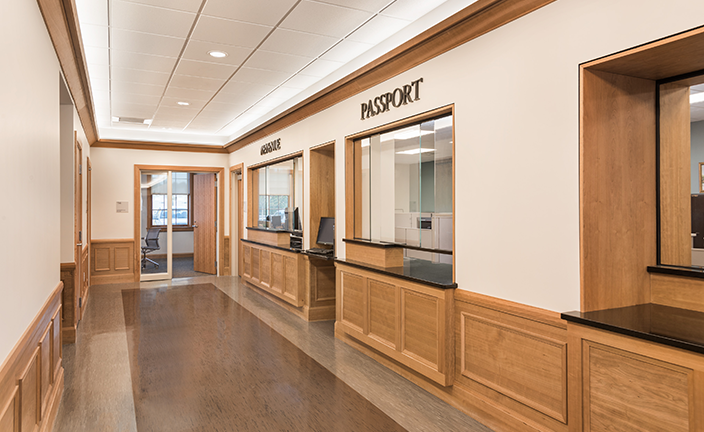 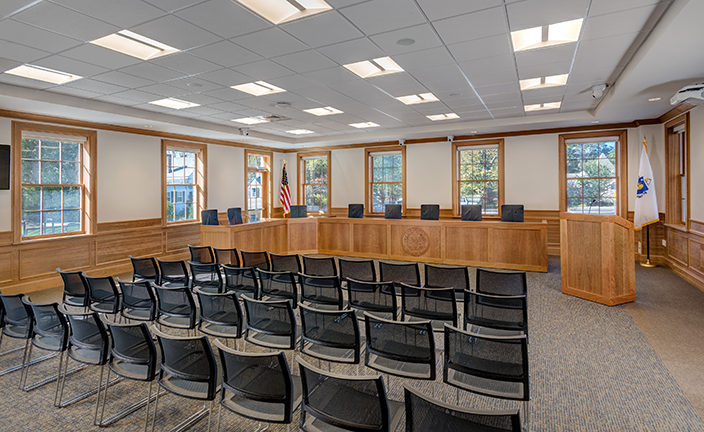 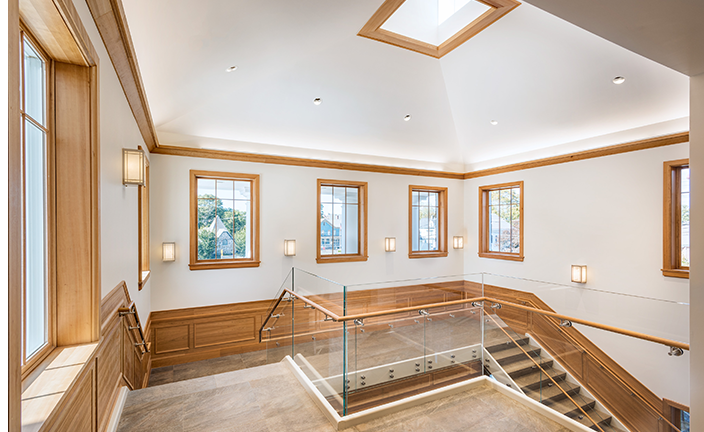 Following the completion of Foxborough’s Boyden Library, LLB Architects was selected by the Town in 2014 to design their new 17,000 sf town hall. 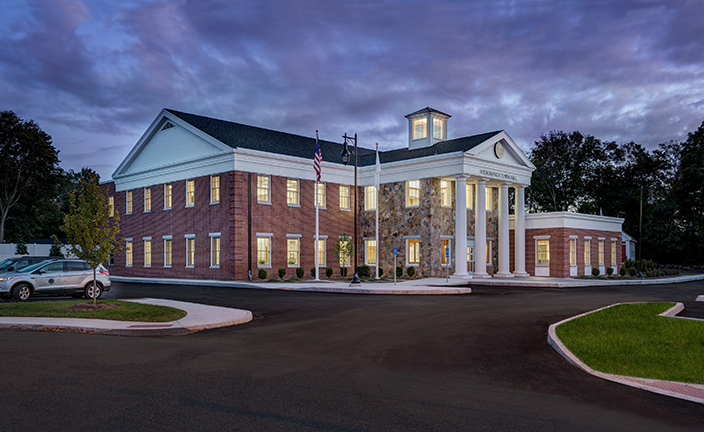 The new town hall is located on the same site as the original existing building, and was planned to accommodate the current and anticipated needs of the Town’s administrative operations while also improving resident access and providing much needed community meeting space. 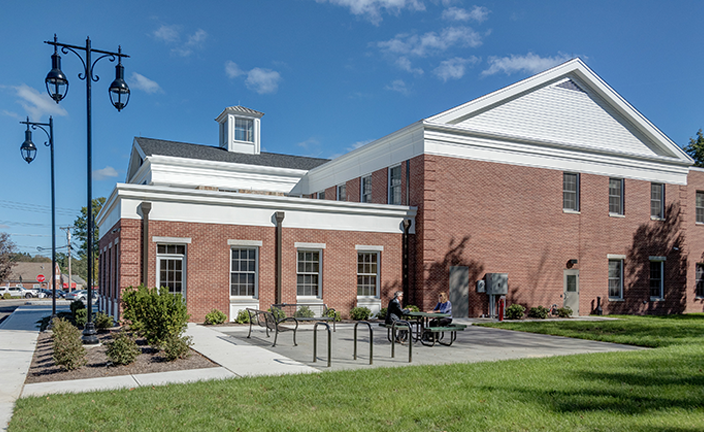 There are approximately 39 employees employed by the town. 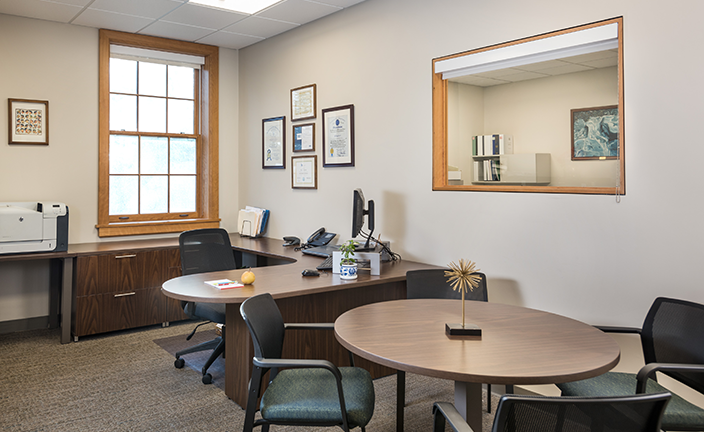 The space is a mix of 14 private offices, collaborative work areas, flexible work areas, and meeting rooms. 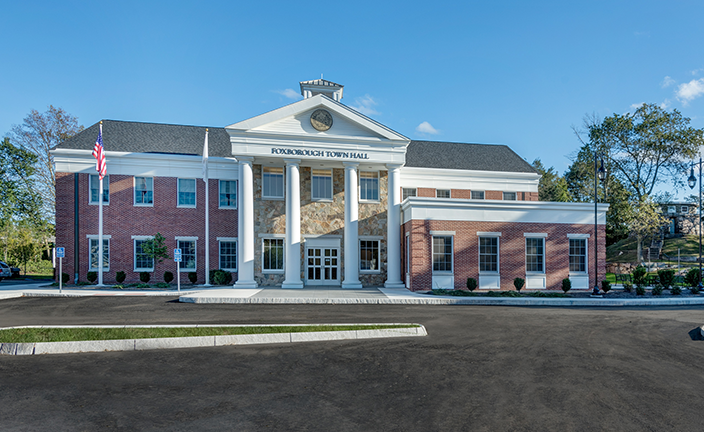 The design of the new town hall took the context of the location into consideration, and the result compliments the neighborhood and colonial heritage of the Town.